After the State of Israel was established in 1948, its Arab residents suddenly became a minority in a state designated for Jews. The extremists among them referred to Israel as maz’uma, meaning the “so-called,” and spoke of a time when they would become the majority again. Yet, as the political and demographic conditions altered, this dream gave way to their daily realities. Now, decades later, most Arab-Israelis have accepted Israel and are working within the Israeli political system to obtain greater rights. As a movement they have improved at navigating the political system and integrating into Israeli institutions. In 2010 there were over 1.5 million Arabs living in Israel, representing about 20% of the total population. The vast majority of Arabs in Israel are Sunni Muslims (including Arab Bedouins). Christians (including Greek Orthodox, Greek Catholic, and Roman Catholic) comprise about 10% of the Arab population. The Druze, a community that split off from the Shi’a Ismaili sect of Islam in the 11th century, comprise another 10% of the population. 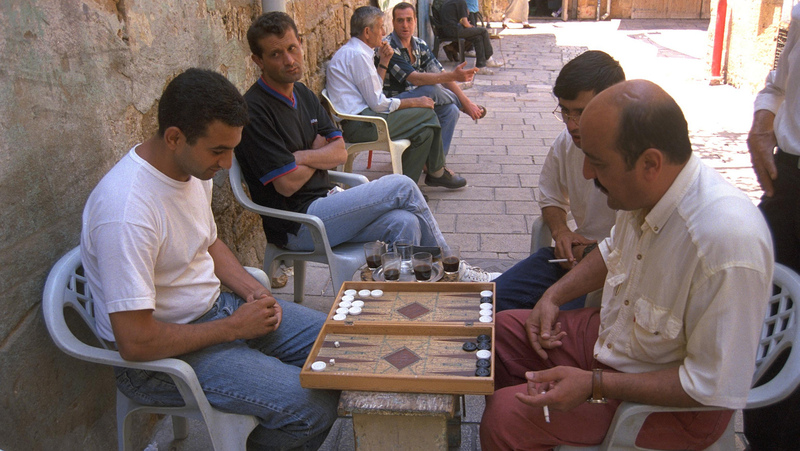 Although not officially defined as ethnically Arab by the Israeli government, they do share some common cultural and ethnic characteristics with the Arab population. Arab-Israelis reside in three main geographical areas: the Galilee in northern Israel, where they comprise approximately half of the population; the area referred to as the “Little Triangle” that runs along the Green Line; and the Negev desert region in southern Israel. Most Arab-Israelis live in predominantly Arab cities or towns, with heavy concentration also in the major cities of Jaffa/Tel Aviv and Haifa. Arab Bedouin villages are spread over both the northern and southern regions. The principle of equal rights for all Israeli citizens–including minorities–is expressed explicitly in the Israeli Declaration of Independence. According to the Judicial Foundations Law of 1980, the Declaration of Independence formally serves as the foundation for the entire system of Israeli law; however, it is not binding. The only major legal distinction made between Jews and Arabs in Israel relates to military conscription. Israel does not require Arab citizens of Israel to serve in the Israel Defense Forces (IDF). This is designed to prevent Arab-Israelis from having to fight their brethren serving in neighboring armies. This, in effect, also negatively impacts the Arab community’s economic position since Arab-Israelis do not have access to the many social benefits and economic subsidies provided to veterans. While Arab-Israelis can volunteer for service and receive these benefits, they are generally discouraged from doing so by the negative social and political implications that the Arab-Israeli community associates with the Israeli army. The lack of a clearly-defined policy toward the Arab population leads to other problems in the political, social, and economic spheres. Government policies as well as spending budgets are largely directed by political-national considerations that favor the Jewish sector, leading to severe disparities in resource allocation and economic opportunities for Arab-Israelis, such as school funding. The dominant use of Hebrew in Israeli business and cultural spheres further exacerbates these gaps. Guidelines for land purchased by the Jewish National Fund (JNF) also create limitations for Arab-Israelis trying to lease land. The JNF was created in 1901 at the Fifth Zionist Congress Meeting in order to raise funds for the purchase of land for Jews settling in Israel. Ultimately, the JNF purchased up to 13% of the most habitable land in the country–home to 70% of the population. This land is strictly to be leased, not sold, to Jews on a long-term basis. The Israeli government passed a series of laws in 1960 turning administrative responsibilities for the land to a newly-formed agency, the Israel Lands Administration (ILA). The ILA continues to abide, however, to JNF’s stipulations–thus limiting land leasing rights to Jews. Despite court rulings in favor of opening this land to all citizens, the Knesset has voted to exempt ILA from following a non-discrimination policy in JNF lands. 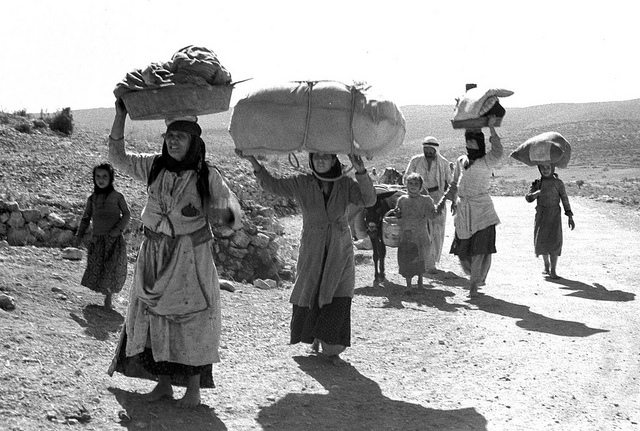 At the dawn of the establishment of the State of Israel, Arab society was an agriculturally based community governed by a patriarchal clan system. It has since transformed into a stratified society that includes a stable working class, group of professionals, rising middle class and intellectual elite. In the early years of the state, the clan system’s power was anchored in its close connection to the ruling leftist political parties–which would later become the Labor party (Mapai, Ahdut Ha’avoda, and Rafi)–and its ability to distribute land and government services. However, after the first two decades of Israeli statehood, clan leaders began to lose their political grip to a new generation of professionals operating in the local councils. This group, including many Arab lawyers educated in Israel’s educational system, would later play a significant role in advancing Arab interests through the Israeli political system. The 1967 Six Day War ushered in a period of increased political activity. Renewed exposure to Palestinians living in the West Bank and Gaza Strip increased the momentum of Arabization and Islamic movements in the Israeli-Arab sector. Arabs turned their loyalties away from Zionist political parties and toward their own strictly Arab candidates and political parties. Arab-Israelis felt pressure from the greater Arab world to integrate into Palestinian society and collaborate in their struggle against Israel. While some did join the Palestinian leadership and even participated in terrorist attacks against Israel, the vast majority opted to maintain their position in Israel. The latter contingency learned how to use Israeli institutions such as the Knesset and Supreme Court to advance their interests. Arab-Israelis were most actively involved in Israeli politics during the Oslo era (1993-2000). They were motivated by the idea that integration would lead to equality and the key obstacle to integration was the absence of Palestinian-Israeli peace. In 1996, Arab representation in Knesset reached 12 members. Even the Islamic movement, which traditionally forbade participation in Israeli parliamentary elections, decided to endorse a member of its own for candidacy in the 1996 elections. The optimism characterized by the Oslo years came to an abrupt halt when the Second Intifada broke out in September 2000, and the Arab Monitoring Committee called for mass protests in support of the Palestinians. The ensuing week of clashes between Arab-Israelis and Israeli police led to the death of 12 Arab-Israelis. In an attempt to tone down subsequent tensions, Arab Members of Knesset (MK) increasingly focused their legislative proposals on demonstrating that Arabs are an inseparable and committed part of Israel. Arab MKs did not, however, completely abandon the more controversial issues of Arab-Israeli identity, civil rights, and Palestinian statehood. Instead, they turned to public forums to raise these issues in a manner that elicited quick media and government response. Torn between Arab nationalist and Islamic movements as well as the Palestinization and Israelization trends, the Arab-Israeli community is largely conflicted about its national identity. The Arab National Movement in the 1960s opened Arab-Israelis to the greater Arab world and its pan-Arab call for unification. In the 1980s this movement became largely eclipsed by the Islamic movement, which calls for the establishment of an Islamic state. The effects of all these movements and trends on Arab-Israeli identity reveal an increasingly complex picture. A series of surveys conducted by Sammy Smooha in 2003, Arab-Jewish Relations Index, revealed that more than half of the population surveyed felt estranged by Israel and considered Israel as a Zionist state to be racist. The sentiments expressed in these surveys, in combination with growing discontent over the level of government services provided, have caused Arabs to disassociate themselves from Israel. 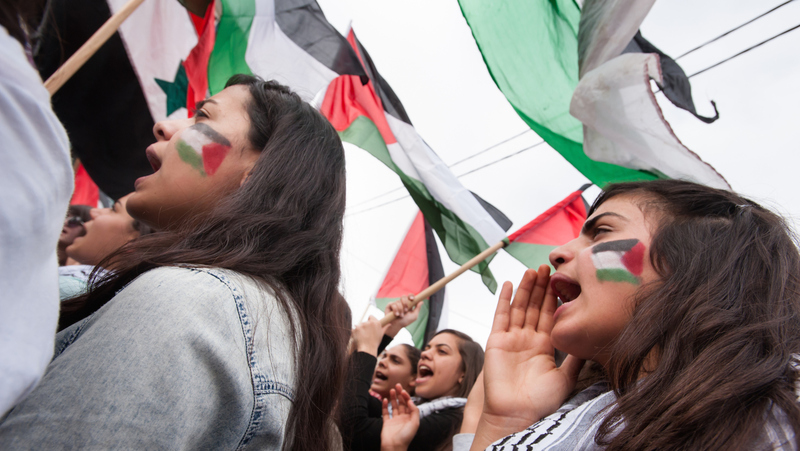 Many now seek to associate themselves with the Palestinian national identity, while demanding greater cultural autonomy and collective rights within Israel proper. The political status and national identity of Arabs in modern Israel is a riddle that remains unsolved. Arabs are neither assimilated into mainstream Israeli society, nor do they aspire to be fully integrated. They are neither promised, nor completely denied equal rights. The formation of their national identity is directly connected to developments in the Palestinian territories and in Israel’s democratic structure. Some have joined their futures with Israel; whereas others have united with the Palestinian sphere. Their course is ultimately dependent on the unfolding of the Palestinian-Israeli peace process and other regional developments.